Home Unlabelled Rev.Father Mbaka escape assassination. Rev. Fr. 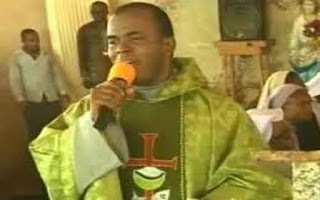 Ejike Mbaka's spokesman Maximus Ugwuoke has alleged that there was an assassination attempt on the controversial priest in Enugu State on Thursday.